The best way to watch a baseball game is to travel to the stadium and watch it live. But there are several reasons that may not always be feasible. Money, distance, time, and health can affect a person’s ability to watch a live baseball game. You may not have enough money to buy tickets for your family. Or maybe you can’t take time off work or school to travel to watch your favorite team play. Or maybe your health is prohibitive. 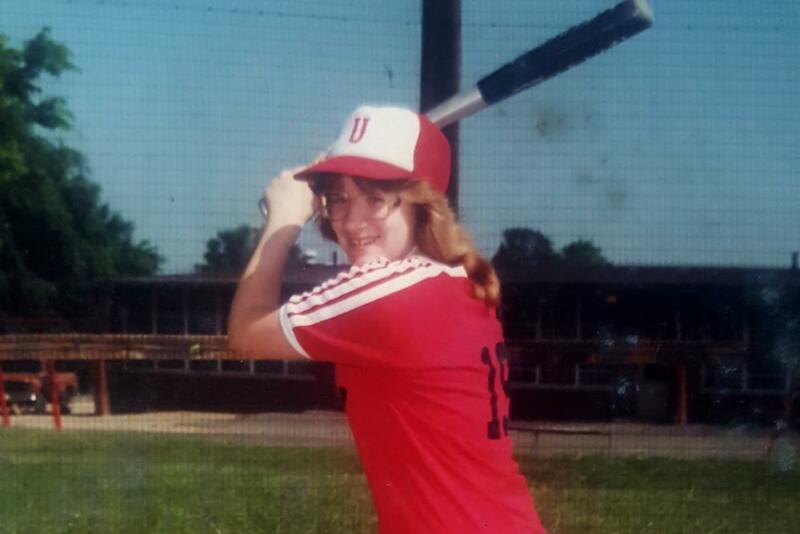 I grew up playing softball and one of my younger brother’s played baseball. I don’t remember my dad ever missing a game. He even coached my team for a season. I guess you could say he was our biggest cheerleader. Two years ago, my dad was diagnosed with an auto-immune disease that has weakened his body substantially. He now lacks the energy needed to travel to a live baseball game. 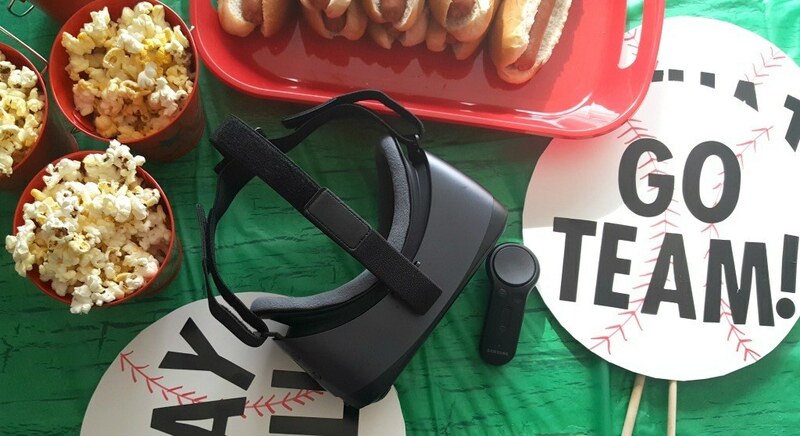 When I heard about Intel True VR technology that streams live MLB baseball every Tuesday throughout baseball season, I knew I needed to check it out and throw a “Take Dad out to the Ballgame” party. Now the challenge will be getting the family together to experience the VR game together. You can’t go to the stadium and not have a hot dog and popcorn. 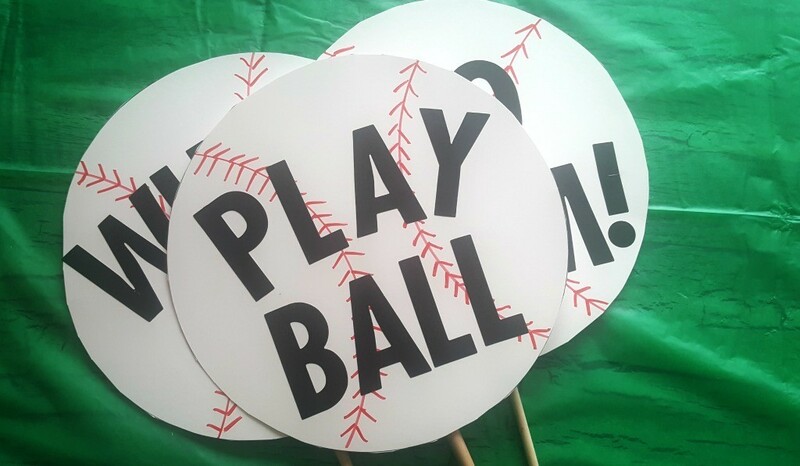 And let’s not forget some fun signs which are easy enough to make for my party. 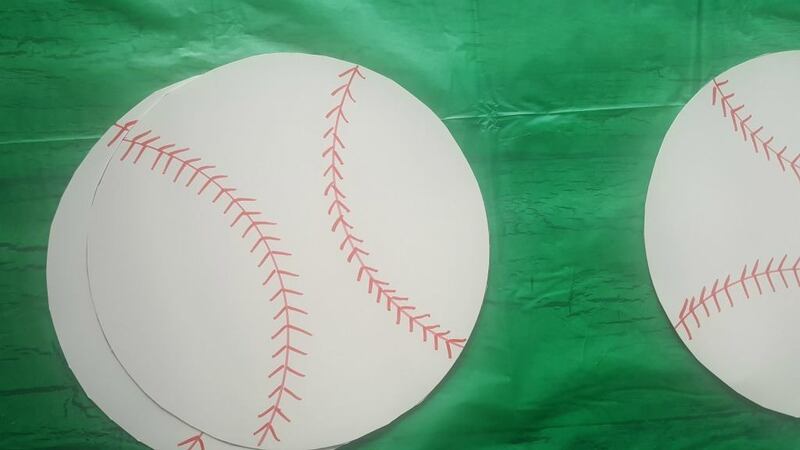 Use the plate to draw a circle on the cardboard and cut it out. 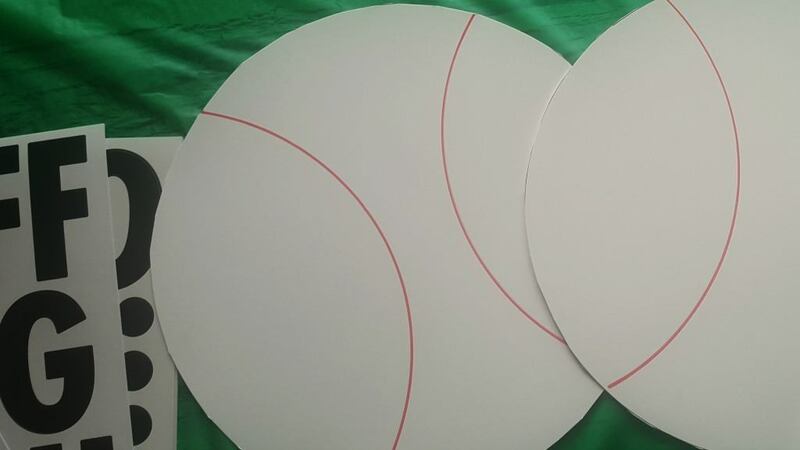 Next, imagine the circle is divided in thirds. 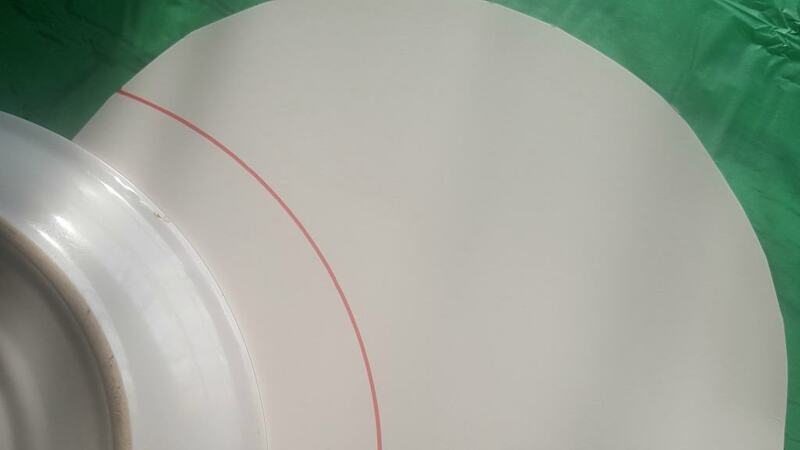 Using your plate, draw the curved edge of the plate on your cardboard circle with the red marker on the 1st and 3rd thirds- or edges of the cardboard. Draw slanted red lines on the line you just drew as shown. Use your stickers to add a slogan or saying on the sign. 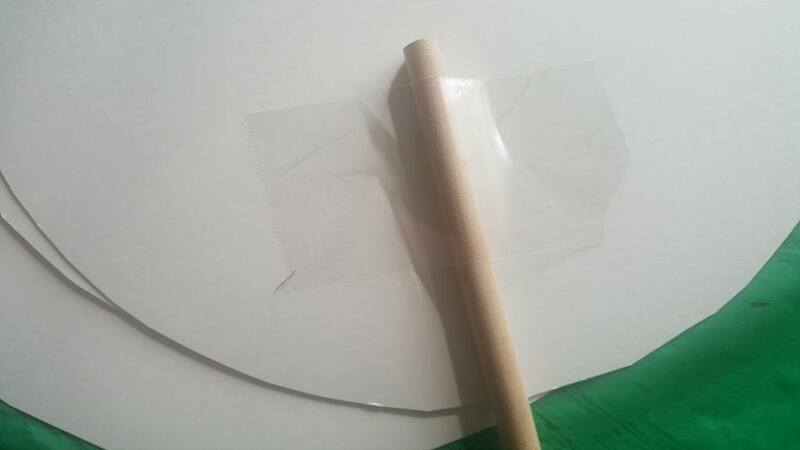 Turn your sign over and tape a dowel rod in the middle of your sign, making sure that you sign is the right side up. That’s it. You’re done and ready for a ball game. 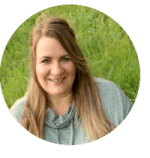 While, I may not have all the details worked out for our family event yet, my signs are made and I did have a chance to check out the app and let me just say, “Wow. I’m impressed.” I can’t wait to watch more and I’ve already started to think of people like me (not only gamers) who would love this app. 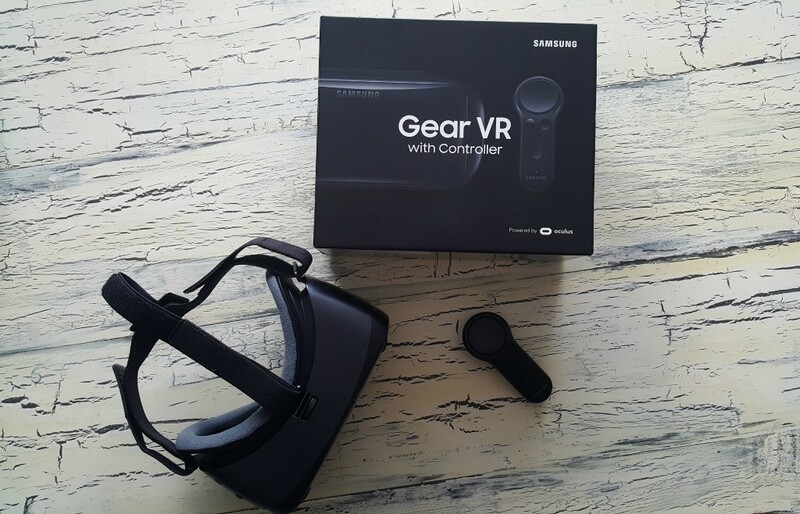 The Intel True VR pairs with a compatible Samsung device such as the Galaxy S8, S8+, S7, S7 edge, Note5, S6 edge+, S6, and the S6 edge. I have the Samsung Galaxy Note5 and the Samsung Galaxy 8 but so far, have only had time to use it on the Samsung Note5. 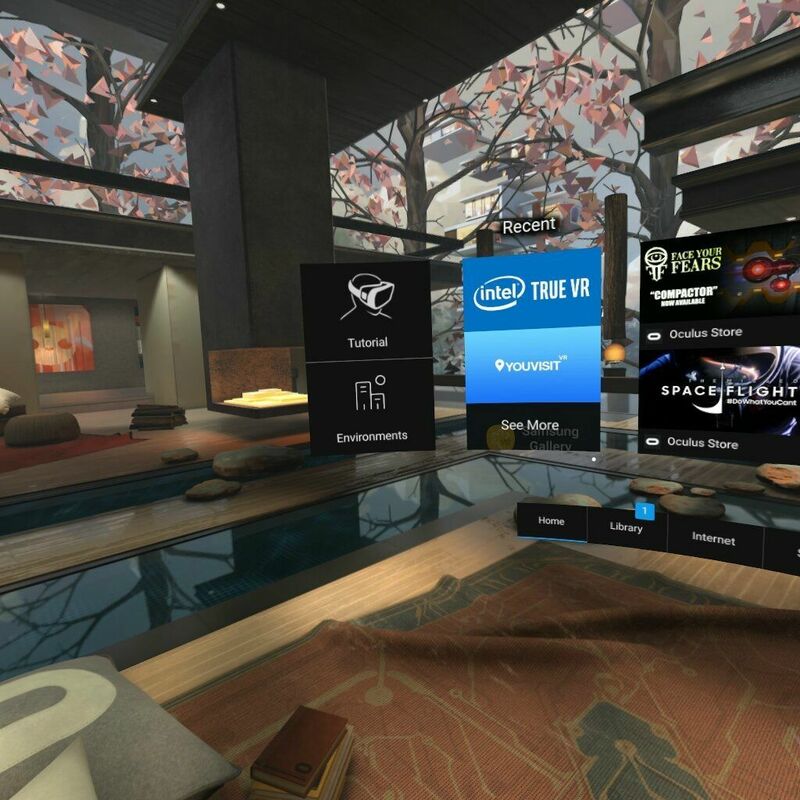 The Intel True VR touts its ability to give viewers the feeling that they are there. It allows you to have the best seat in the house so you can watch and be transported into the action. You’ll want to download Intel True VR App and tune into the MLB livestream Game of the Week each Tuesday during baseball season. 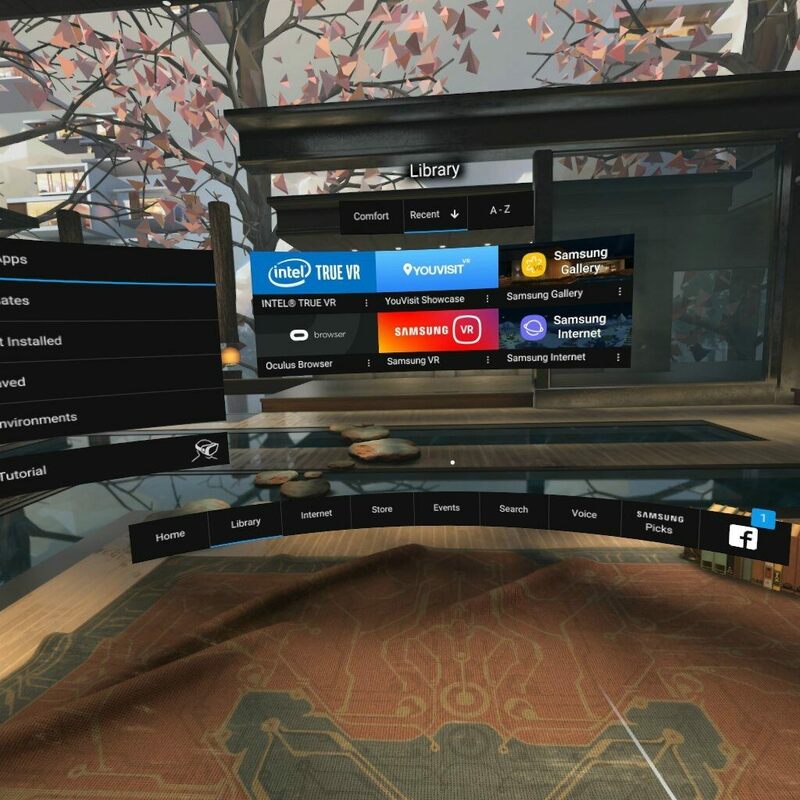 To use, simply click on the Intel True VR app within the Oculus app. Watching MLB on the Intel True VR is almost like being at a game. The announcer is speaking, the crowd is yelling, you can hear the crack of the bat as it hits the ball and knocks it into the outfield. The controls allow you to easily switch views. You can sweep over the stands, glance at the scoreboard and travel to the 3rd base line or get a view from above looking down into the stadium using your controller. If you don’t have the opportunity to watch live on Tuesdays, you can watch highlights of the game or full replays. I never saw myself as one to be drawn to VR but after experiencing the app for myself, I’m amazed at all the possibilities. While it certainly is fun to watch a live game, I was excited to realize how many other offerings are available with the Intel True App. Sports, fashion, travel, roller coasters, you name it and you’ll probably find it in the app store. 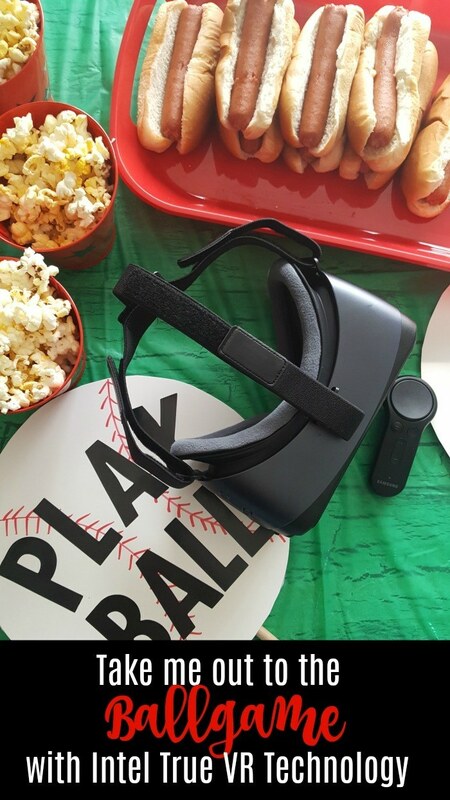 Baseball isn’t the only thing you can watch with the Intel True VR. 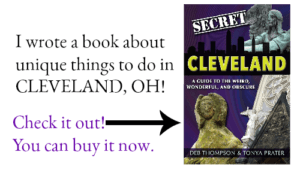 You’ll find roller coasters and haunted houses and even travel apps. The best part? If your phone allows 360 photos or videos, you can view your own adventures using the Intel True VR. How cool would it be to take video and photos while standing on the edge of the Grand Canyon and show it to your friends and family who may not be able to go there? The Intel True VR certainly gets a thumbs up from my family. I think I may even know what to get my kids for Christmas. This is one fun device. Want to learn more about Intel True VR? Visit this page. You can also download the Intel True VR app within the Oculus app store to watch MLB here.